As one of the automotive engineering industry's most storied vehicles, the Chevrolet Volt has been the subject of hundreds of articles over the last few years as it went from a concept car to a reality. Now, the car is the subject of a new book from SAE International focusing on the incredible story of the vehicle's development. The 224-page, full-color book, edited by SAE International senior editor Lindsay Brooke, is the premiere compendium of engineering information related to the Chevrolet Volt. 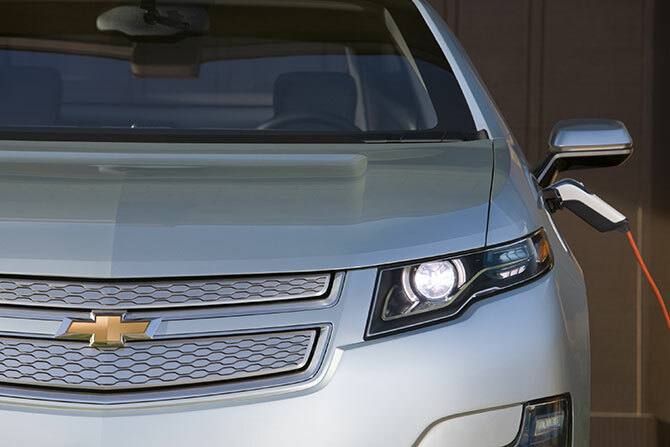 It aggregates articles about the Volt from SAE International's Vehicle Electrification website and Automotive Engineering International (AEI) magazine along with SAE International technical papers covering the vehicle's technology development. In addition to this content, it includes interviews with the principal engineers and supplier partners who participated in the Chevrolet Volt project, as well as insights from other technology companies who bring new ideas to the electrified vehicle space. Vehicle electrification comprises three major system technologies: lithium-based batteries, power control and electric motors. With the launch of the 2011 Chevrolet Volt, GM began a new era in mobility technology—the extended range electric vehicle. AEI has closely followed the Chevrolet Volt's development—from its lithium battery technologies to its aerodynamics, subsystems and vehicle charging strategies. AEI has been deep inside the research and development labs and was the first industry publication to drive a Volt mile and experience the unique propulsion system. That sort of industry-insider access is the very thing that makes this book so important: it demonstrates, in-depth, the design process of electrification to mobility professionals. The rapid push of automakers towards vehicle electrification demonstrates the need to understand cutting-edge electric vehicle trends. The Chevrolet Volt is certainly on the cutting edge of those trends, filled with groundbreaking engineering and often singled out by industry experts as the leader of vehicle electrification. The EPA recently released their official fuel economy label for the Volt: 93 MPG equivalent in all-electric mode, entirely peerless in the world of traditional gasoline powered cars. The market has reacted very positively to the Volt, and it is Motor Trend's 2011 Car of the Year. Chevrolet Volt – Development Story of the Pioneering Electrified will be of interest to any automotive engineering professional, but will be of special interest to executives, engineers and mobility professionals who are interested in vehicle electrification development. Suppliers will also find the book useful for positioning their products for electric vehicle adoption. Academics and enthusiasts will enjoy the incredible depth of the book's story of the Chevrolet Volt. AEI Senior Editor Lindsay Brooke has written extensively about automotive technology, manufacturing, business and history for 30 years for various trade and consumer publications. He was also technology analyst for a major auto industry analysis firm.